Week 1: 80% noticed improvements, 80% saw less white spots. Week 4: 80% less peeling, 73% less splitting. Massage into the entire nail, nail edge and cuticle. Showing 2 of our total 6 reviews, with an average rating of 5 stars. 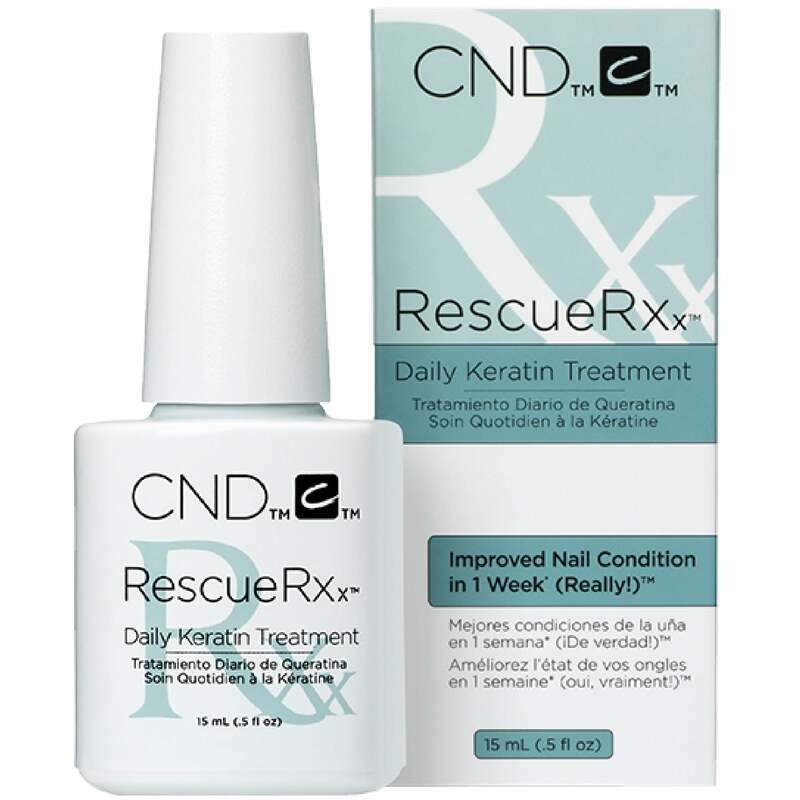 Read all 6 reviews for CND vinylux Rescue RXx - Daily Keratin Treatment (050) 15ml. I have only been using this for about 10 days but I have to say that I think I can already see an improvement in my nails. I am reluctant to get too excited because I have tried, over two years, so very many other nail strengthing products. They all promised to put an end to my weak and peeling nails but I didn’t have any improvement. I saw this and read all about it and decided to try it. It says an improvement would be noticed in 1 week and I can honestly say that, for me, I did. I really didn’t see how one week would be long enough for any change to be noticed but it is. I really hope it continues!